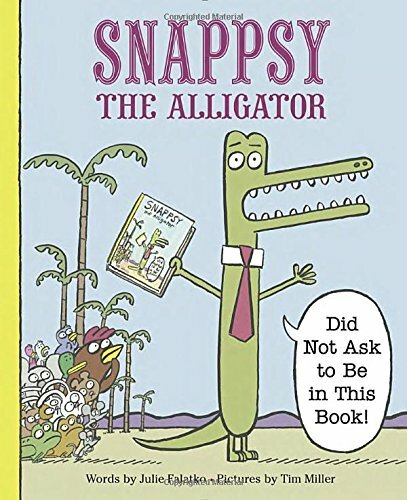 Snappsy the alligator is having a normal day when a pesky narrator steps in to spice up the story. Is Snappsy reading a book ... or is he making CRAFTY plans? Is Snappsy on his way to the grocery store ... or is he PROWLING the forest for defenseless birds and fuzzy bunnies? Is Snappsy innocently shopping for a party ... or is he OBSESSED with snack foods that start with the letter P? What's the truth? Three starred reviews, "perfect for fans of Mo Willems," and some catchy illustrations...and yet, it just didn't quite sit right. It was enjoyable enough, but the storyline felt too random and disjointed. The ending was particularly strange with the reveal of the narrator, yet no explanation for why this "narrator" felt the need to follow and narrate all of Snappsy's actions. And, worse of all, I didn't laugh. Sad day. But, I will say, this would be a fun as a readaloud because it's perfect for two different people. So, either a parent and child could have fun reading the two parts (narrator and Snappsy) which would be perfect for beginning readers, or it'd be fun in storytime with a helper or (even better!) an alligator puppet. So yes, there's some good fun to be had. Just not quite my particular cup of tea. 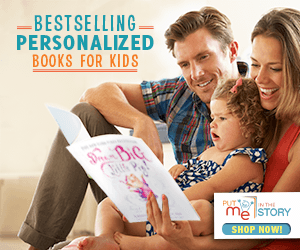 A readalike for Mo Willem's Pigeon books (kind of) and perfect for an alligator storytime.